MANILA, Philippines — Freedom Island is drowning in garbage. The last coastal frontier in the Philippine capital provides refuge to migratory birds and a thick mangrove forest there serves as a natural typhoon barrier for millions of city dwellers. 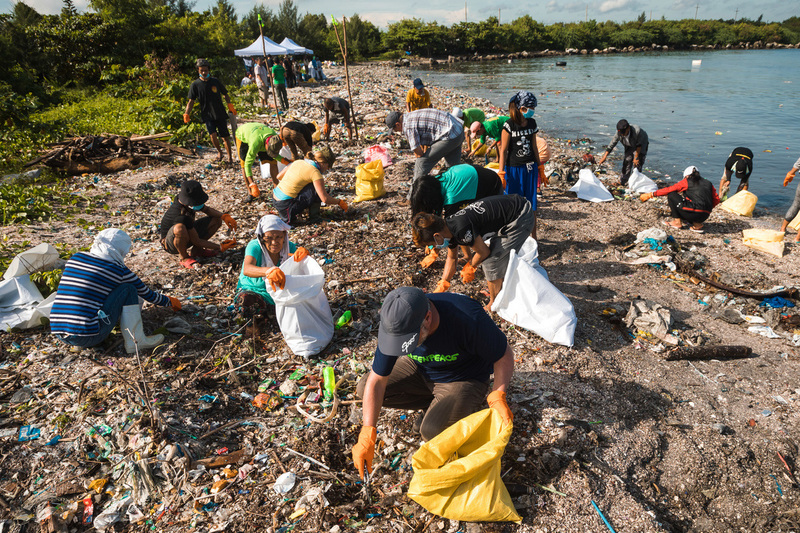 Yet empty plastic water and soda bottles protrude from the sand, tattered clothes and plastic sheets hang over mangrove branches, and heaps of shampoo, toothpaste and soy sauce sachets litter the coastline. 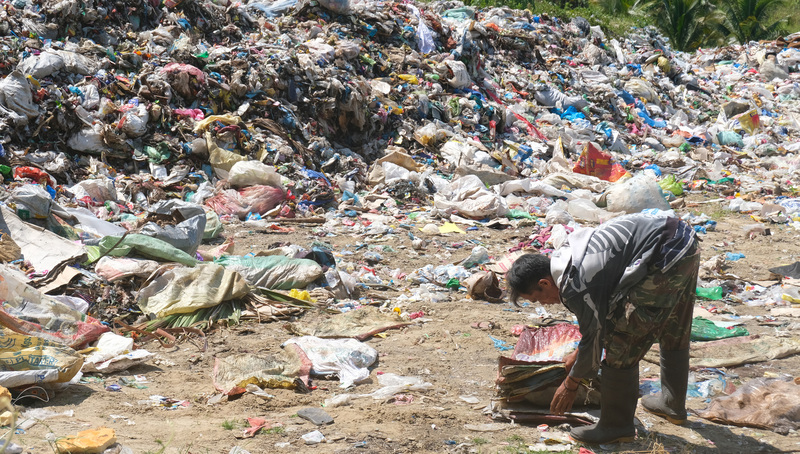 A scavenger collects reusable plastic from the illegal open dumpsite in Malapatan town in the southern Philippines. Image by Bong S. Sarmiento. For its part Nestlé claims on its website to have “made considerable progress in minimising the amount of packaging” for its products, and it announced in April its ambition to make 100 percent of its packaging recyclable or re-usable by 2025. Unilever similarly vowed that all of its plastic packaging “will be reusable, recyclable or compostable by 2025.” The company has also publicly committed to invest in finding a wayt o recyclemulti-layered sachets, and to share the solution with the industry. Volunteers collect trash during a garbage audit environmental groups conducted at Freedom Island in Metro Manila last year. Image courtesy of Greenpeace. San Fernando City is home to around 307,000 people living in 35 villages or barangays, the smallest administrative unit in Philippine society.In 2007, it created the City Environment and Natural Resources Office, primarily to address its trash problem. The city extended 150,000 Philippine pesos (about $3,000) to each village for the construction of materials recovery facilities (MRFs) and the purchase of pushcarts and rickshaw bicycles to collect waste. Since 2012, the Manila-based advocacy group Mother Earth Foundation (MEF) has provided technical assistance in setting up the MRFs. Today, over 100 MRFs exist across the city, including in schools, subdivisions and public markets, according to Sherma Benosa, a communications officer with the Global Alliance for Incinerator Alternatives, an international consortium of NGOs to which MEF belongs.As a result, the city’s spending on tipping fees for waste disposal came in nearly three-quarters under projections for 2017: just 18 million pesos ($334,000) instead of 70 million pesos ($1.3 million). If San Fernando City is managing its garbage well, the coastal town of Malapatan in in the southern Philippine province of Sarangani is doing the opposite. This story was first published by www.mongabay.com based in the United States.